Eight pairs of Irish dancing shoes make a ceili team! Mid-Atlantic Regional Irish Dancing Championship Team Results! The team competitions at ANY regional Irish dancing championship are always the most hectic and most fun part of the whole event. Dancers who may or may not have competed in solo competitions join up with their dance classmates, dress as alike as humanly possible and move as one unit throughout the venue. One can read the lips of the littlest leaders as they count off during practice and siblings who have been paired together in a mixed ceili may well start a short-lived battle. Like the fictional Madeline and her two straight lines of little girls in Paris, dancers are seen holding hands as they make their way around the ballrooms and are kept busy with parents and young teachers while waiting their turn on stage. The older dancers are truly as delightful - so many have been dancing ceili together since a young age that they are like mature couples at a family wedding! 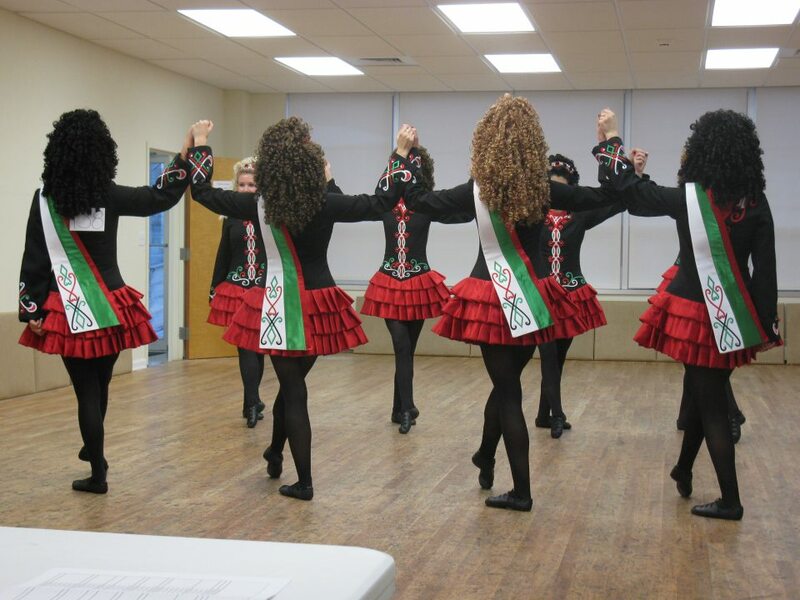 The adult competitions at the Mid-Atlantic Regional Irish Dancing Championships are well-subscribed and from young to old, there are hundreds of teams and close to a thousand team members on site on team day. Big congratulations to Rince na Tiarna from New York which defended or claimed a total of six championships including the Girls under 15 Figure competition and O'Rourke Irish Dancers from New York which successfully defended their titles in three of the adult competitions. Kudos to Marie Moore and McDade Cara for defending their titles in the Girls 8-Hand Ceili 15 & Over and Mixed 8-Hand Ceili under 15, respectively. 2010 Mid-Atlantic Regional Irish Dancing Championships. Champion Rince na Tiarna B DEFENDING CHAMPIONS! Champion Marie Moore A DEFENDING CHAMPIONS! Champion McDade-Cara A DEFENDING CHAMPIONS! See Mid-Atlantic Regional Championship Figure Dance Results for under 10 and under 15 here! See New England Regional Championship Team Results here! See Western U.S. Regional Championship Team Results here! Champion O'Rourke A DEFENDING CHAMPIONS!